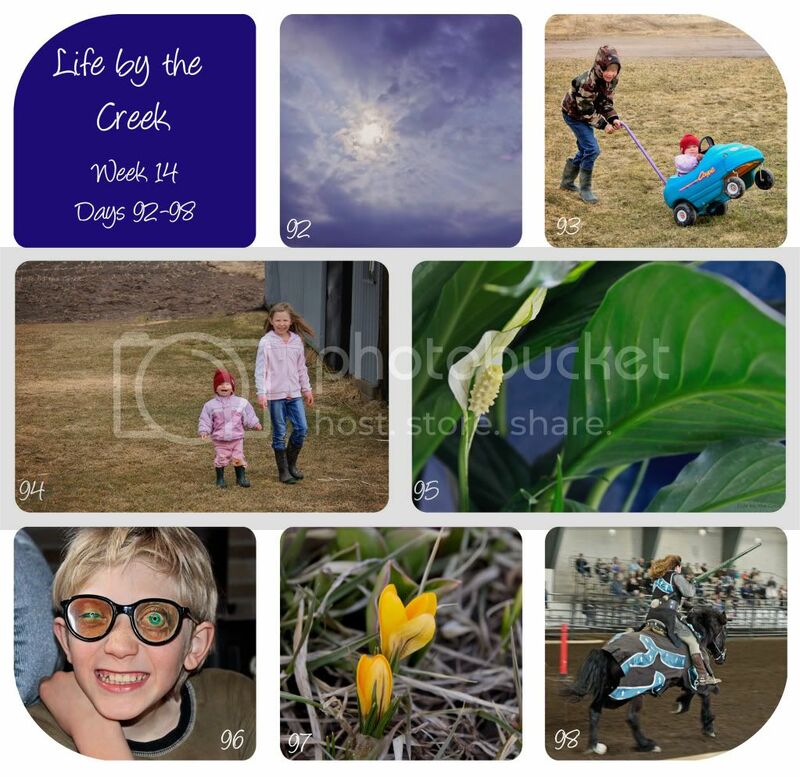 Time for this week’s Project 365 round-up. 92: Sun peeking through the clouds. 93: Ethan pushing Hannah around… like a monster truck. Her face kills me. 95: Flower on my peace lily. 96: Justin wearing crazy glasses – each eye winks depending on how you turn your head. 97: LOOK!!! Real flowers!! So excited. Spring is really coming! 98: Our knight at the Knights of Valour demonstration. He won that challenge. Woot! There you go! That’s how it’s been around the creek this week. Visit Sarah to view more 365’s. Yay for Spring. Great photos this week. Those glasses are crazy! lol. Thanks for linking up!